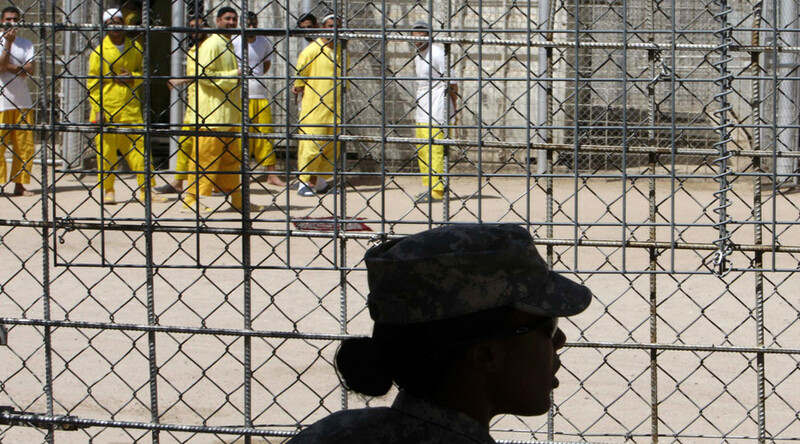 The stonewalling of prisoner tortures has been designed to prevent people in the US and its allies from gaining insight into the criminality of the war in Iraq and Afghanistan, says Richard Becker of the anti-war Answer Coalition. Almost two hundred photos showing abuse in US prisons in Afghanistan and Iraq have been released after a court order. However, the 198 images are just a fraction of the total amount of photos. RT: Why are we seeing these images just now - after almost 13 years of fighting for their release? Richard Becker: I think what the Pentagon is trying to do in this case is to appear to meet the demand in some respect. But the reality is: it was around 5 o’clock on Friday afternoon, which is the typical time for news to be released by government agencies that want to play down a story. And they are playing this down. Even though they have released these photos - which are probably far less than 10 percent of the photos that they have - this would not be really coming clean on what the military has done in Iraq and Afghanistan in particular. Who are they covering up this information from? It is not from the people in Iraq. The people in Iraq know very well and so do the people of Afghanistan what is going on. This stonewalling has been meant to prevent the people in the US and its allies from knowing the reality of the criminality that has been involved in the war in Iraq and the war in Afghanistan as well. RT: These 198 images appear to be only a tenth part of the total amount of pictures. Why have these images been selected? RB: I’ve only seen a few of the images but I think that the images are meant to downplay what happened. So, they are showing the pictures of people who obviously suffered injury - torture to inflict pain on people in order to try to get information or just to punish them. That’s torture and a war crime. But clearly the photos that have been released are not the most horrific by any stretch of the imagination. And we know that for sure because we know people were killed under torture. There is nothing that approaches that at least in what I have seen so far among those photos. RT: President Obama seems to think these images are not sensational. Is this an attempt to divert attention from the issue? RB: I think that it is. I think that it is an attempt to put it to rest by the government. We recall that President Barack Obama when he was coming into office said he wanted to release this information and these images. But then he was persuaded apparently by Robert Gates, [a holdover from the Bush administration] who continued under the Obama administration that persuaded him ‘to reverse course’ on this. And of course, it shows that there is an establishment, there is a ruling structure that exists in the US, that regardless of who is the president – not that it is unimportant who is president – who come under the influence of that structure, particularly that military structure. “I think they are just being as careful as they can be in the situation they are in. I would like to point out also that this should be reported in every major media here in the US. But they have completely ignored it and that really just shows the influence that the government has over the major media in the US,” he told RT. RT: President Obama seems to think the photographs of detainee abuse are not that sensational. What do you think? “We should remember all the photos released from Abu Ghraib, the incredible revelations of Private Chelsea Manning,” she added.